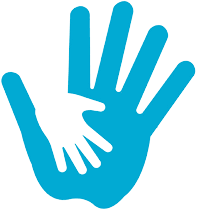 This page has been created to offer important information for parents/carers regarding issues surrounding Safeguarding & Child Protection. Information from other sources will be posted, alongside Collis Primary School’s own policies and procedures, to provide advice and resources to help parents/carers protect their children. 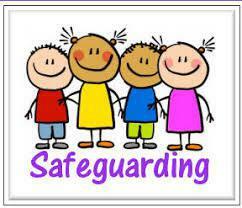 Our Child Protection and Safeguarding policy can be found in the School Policies section on this website. Collis Primary School's Child Protection and Safeguarding Policy is written with due regard to the Department for Education’s statutory guidance Keeping Children Safe in Education September 2018. Part One: Keeping Children Safe in Education It is a requirement for all school staff to read this section of the document. 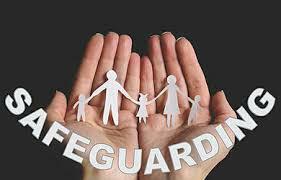 The school's safeguarding audit is a comprehensive document which outlines our practices and procedures. A copy of the audit is posted below. In May 2018, an independent safeguarding review was carried out by Linda Sheehan, Education Safeguarding Adviser (Achieving for Children), to examine the school's safeguarding processes. The review was extremely thorough and all policies and practices relating to safeguarding were scrutinised. Linda spoke to children, staff and governors about our processes and how the school teaches children to be safe. The report recognised that safeguarding children is our highest priority at Collis and commended our processes. Please find the report below. The Designated Safeguarding & Child Protection Lead for Collis Primary School is Jane Way. The Deputy Designated Safeguarding Lead is Sophie Macartney. The school's safeguarding governors are Julia Combe and Jo Grieve. The Head Teacher, Kevin Hogston, and the SENCo, Fiona McRobbie, are also part of the school's safeguarding team. The following link will direct you to Richmond’s Single Point of Access website. This team will use your information to make a decision about how they can best respond to your concerns. The LSCB brings together all agencies and organisations who work with children and their family in Richmond to promote the welfare of children and young people. It co-ordinates safeguarding through its partnerships with a wide range of agencies including schools, social services, children’s and family services and the local authority. The LSCB website provides a wealth of information, advice and links to local services. Children and young people spend a lot of time on the internet. They may go online to research information for homework or to play games and chat with friends. The internet holds a huge amount of useful information and is a great way of learning about new things and keeping in contact with friends and family. It can also be a very dangerous place so it is important that children are protected and monitored when they are online. Within school, children are taught to follow a set of online safety rules. Regular reminders about the importance of these are given to the children. It is important to understand the difference between healthy and developmentally expected sexual exploration and play in children, and behaviour that is not appropriate and can cause harm to others or increase a child’s vulnerability. These leaflets from the Lucy Faithfull Foundation explain the differences and suggests ways of responding to these behaviours. P.A.N.T.S: Teach your child the Underwear Rule The NSPCC suggest this simple way that parents can teach their children to look after their own bodies and help keep them safe from sexual abuse. Child Sexual Exploitation, or CSE, is a form of sexual abuse which sees children/young people being manipulated or coerced into sexual activity for receiving something such as gifts, money, food, attention, somewhere to stay etc. Technology is very often used to groom victims. This may occur through social networking sites and mobile phones with internet access. CSE has gained a large amount of media attention over the last few years as lots of services involved with children and young people have noticed a big rise in cases involving CSE. Charities such as NSPCC and Barnardos have been campaigning to raise the profile of this form of child abuse. Information regarding CSE can be found here by following the link to PACE. If you think that a girl or young woman is in danger of FGM, you must contact the Police. You should contact the Foreign and Commonwealth Office (020 7008 1500) if she’s already been taken abroad. The Daughters of Eve website helps to raise awareness of this issue and sign-posts those affected by it to supportive services. The NSPCC offers a free and anonymous FGM 24 hour helpline. Call 0800 028 3550 or email fgmhelp@nspcc.org.uk. Our school is clear that extremism and radicalisation should be viewed as safeguarding concerns. We value freedom of speech and the expression of beliefs and both pupils/students and adults have the right to speak freely and voice their opinions. Our ethos seeks to build pupils’ resilience to radicalisation by promoting fundamental British values and enabling them to challenge extremist views.